A bit of a homeward-bound treat this evening. A unexpectedly long walk from New Broadcasting House down Regent Street and (miraculously) across central London to Covent Garden. 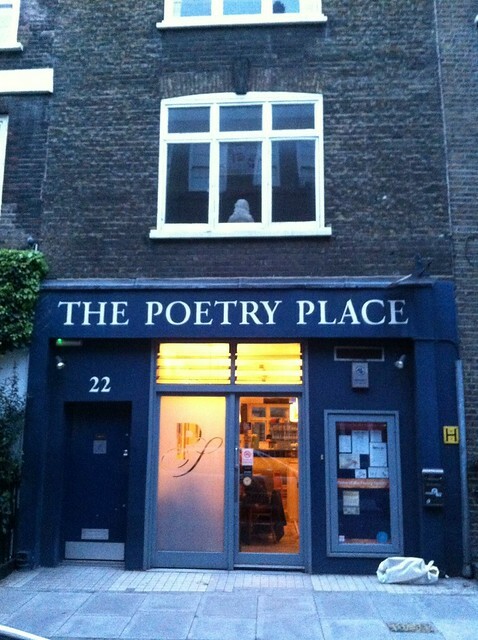 I wouldn’t normally frequent the likes of the Poetry Centre. I don’t write it and as a rule I don’t normally enjoy listening to it either. This evening was unusual however. This open mic poetry evening featured a freshly written script. A scene from a new drama written by former colleague and Raptured creator Heather Taylor. The primary reason for going along was to see Heather, of course. But there was a secondary reason. The chance to hear not only something she had written, but to witness the read-through of a couple of scenes. 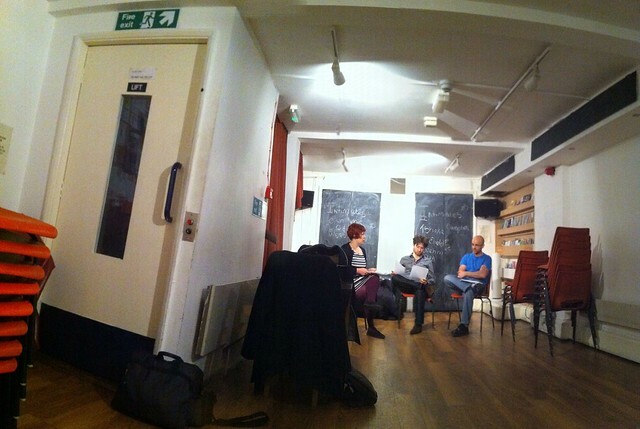 Downstairs, slumped on a comfy sofa I watched three people get to know each other whilst getting to grips with script. And as a member of the audience, I got the chance to immerse myself in the creative thoughts a scriptwriter. I was blown away. Here was a moment when one person’s pride and joy – characters and their story – was handed over to two people who an hour before had absolutely no idea what had been written for them. All three embraced the words on the paper and transformed it into something real. This was the only preparation for the proper read-through the audience upstairs were patiently waiting to hear. A moment when creative work gets its first airing. When characters are brought to life for the first time. Composers have it easy. Scriptwriting is the real hard graft. Ahhhh. I just saw this. Thank you so much. I’m blushing half a world away.